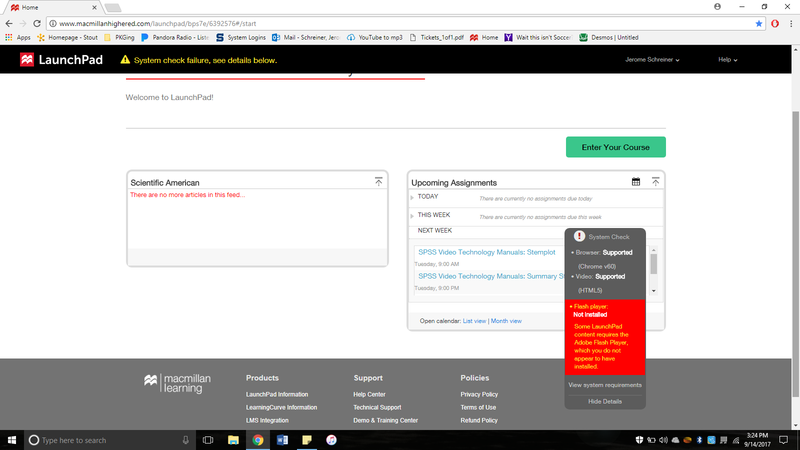 When trying to access MacMillan's Launchpad in Chrome, the student receives an error stating that Adobe must be updated. In order to fix this, Adobe must be enabled on the website. In the majority of cases, Adobe does not need to be updated. 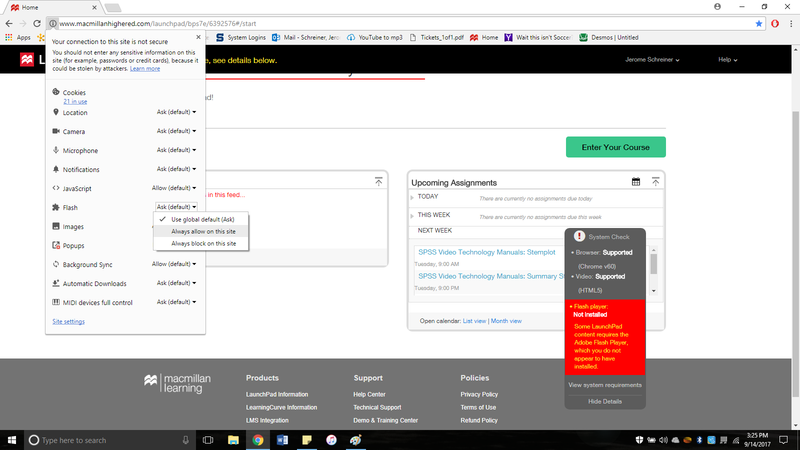 In Chrome, click on the "info" button (the 'i' in a circle button to the left of the web address), and then select "Always allow on this site." When finished, refresh the page (F5).